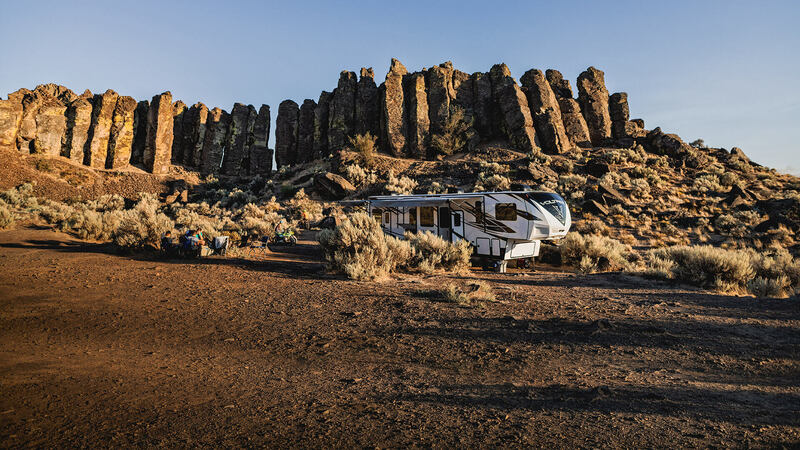 As we continue to grow our lineup, refine our manufacturing process, and deliver the type of support only experience can provide, we never lose sight of one question, “Why Dutchmen?” Why go above and beyond what’s expected of an RV manufacturer? Why worry about the long-term, the details, or the experiences our owners have when they take to the road? For us, the answer is simple. Because you’re Dutchmen. When you choose a Dutchmen RV, you’re choosing to put your trust, and your safety, in us. That’s why everything is built to perform as intended, and why each one of our RVs are backed by layers of support. Because, while we may clock out at the end of the day, our units do not. They're designed and built to deliver one-of-a-kind experiences. So, how do we do it? With better warranties, better quality assurance, and better aftermarket support. And, we’re just getting started. From the manufacturing floor to the miles you put on the road, we’re proud to take our RVs where others won’t.